The small size and weight of the FujiFilm X-system continues to change the nature of my photography. My XE-1 is always in my work bag now, affording me previously missed opportunities. 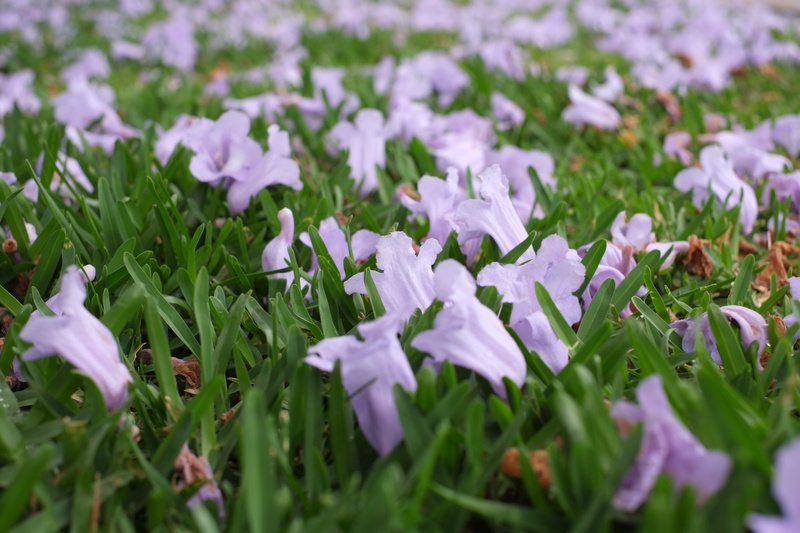 The Jacaranda tree stands out with its beautiful pastel purple flowers. I’d never seen one before I came to Australia, but they have become my favourite, and I pass many on my morning walk to the railway station. 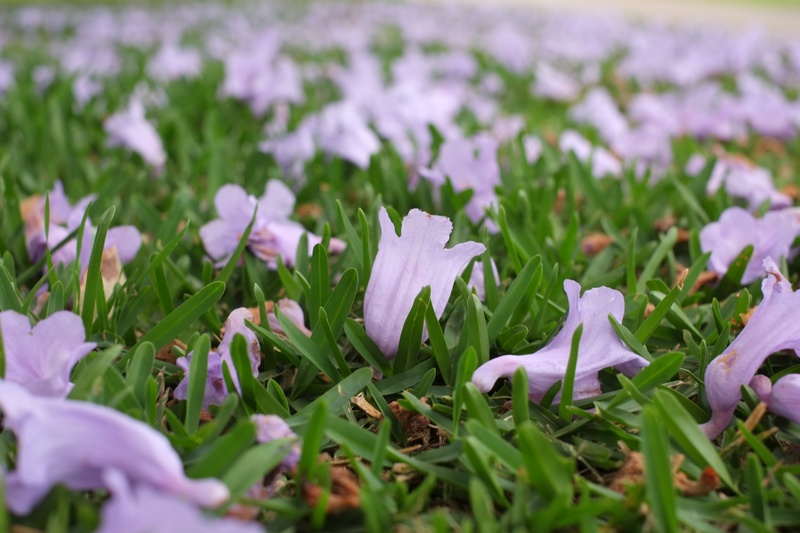 There was a storm last night, and the wind shook the boughs, causing showers of the flowers to land on the ground underneath the trees. 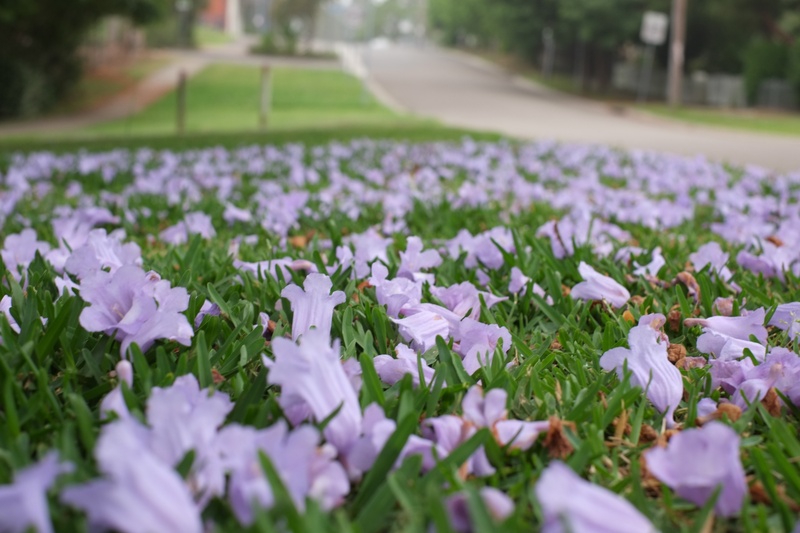 They form a purple carpet, and I am the first to walk through them.